Back in this post, I explained the three different methods for versioning databases that I have worked with: backups, incremental scripts and Visual Studio Database Project. I never had a chance to blog about incremental scripts method and I thought I’d blog about it now. So now you can query this table to see the current version, and what’s more, if the sequence in which the scripts were executed is correct. You should pick a versioning scheme that suites your development process. The minimum setup that I would use is the following: [project name].[major].[minor]. In this scenario the major would be the current baseline, and the minor the incremental script relative to the baseline. All the versions with minor “0” are the baselines themselves. Now that we chose our scheme, let’s save the baseline with the following filename: demo.1.0.sql. By clean setup, I mean that you don’t have a database in your local environment. At this point you should do the following: 1.- Pick the biggest baseline (ie: demo.2.0.sql, etc) and execute it. 2.- Run all the incremental scripts of that baseline in ascending order (ie: demo.2.1.sql, demo.2.2.sql, etc). After several changes are made to a database, more and more scripts are required to be executed in order to have a clean set up. In order to avoid having too many incremental scripts, you can create a baseline as a way to shortcut a bunch of those incremental scripts. Sometimes it is a good idea to create a baseline when a production deployment is done, sometimes it is a good idea to create one when you have more scripts than you would like. In order to create a baseline, the only thing you need to do is, pick the previous baseline, run all the incremental scripts in that baseline, and then script the entire database like we did before. The flow for updating an existing database would be the following: 1.- Query the DbVersion table in your database to find the current version. 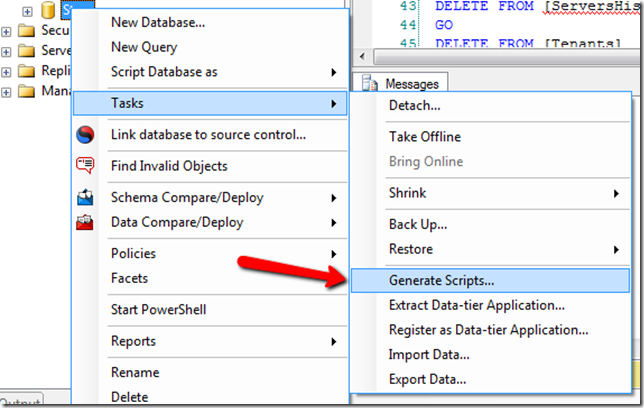 2.- Query your database scripts repository looking for scripts that are newer than yours. 3.- Execute the scripts, except for the baselines (minor equals “0”). 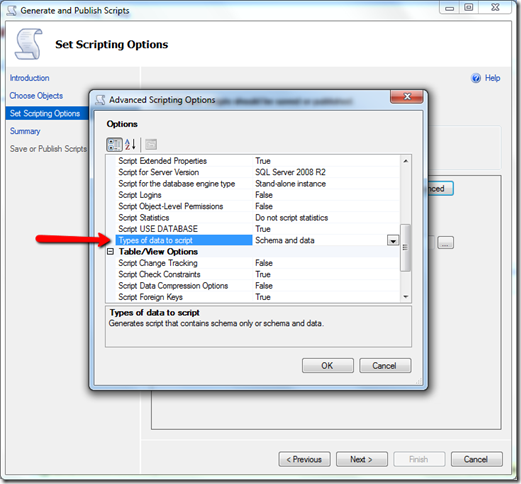 4.- Query the DbVersion table to make sure that all the scripts ran successfully and in order. Usually this step can be easily automated. 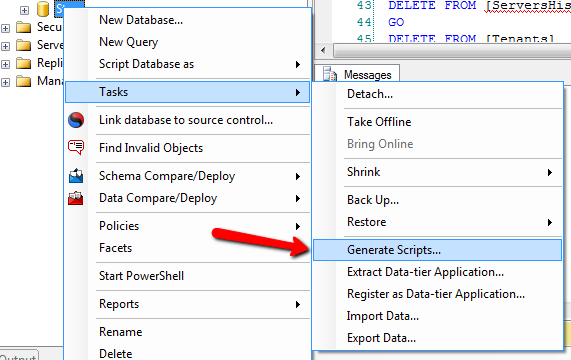 Here’s the PowerShell script for updating your database (it’s only a little bit over 30 lines). Stored procedures and view in SQL Server are a little special. Suppose that you change a table, in order to remove a column that a Stored Procedure or a view is using. 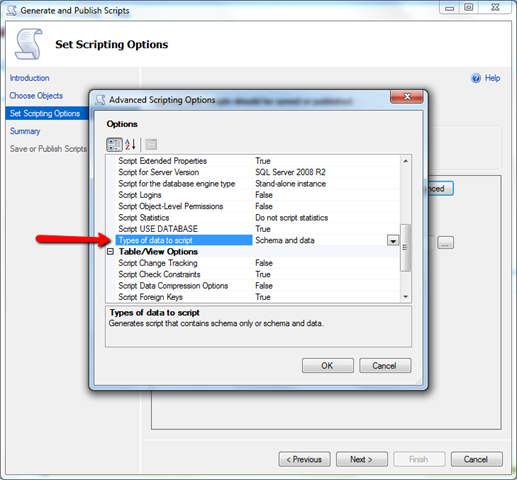 At that point, SQL Server will perform the update and break the SP or the view silently. So as part of the update process of a database, it’s not a bad a idea to drop all the stored procedures and all the views, and recreate them. For doing that you have to keep the SPs and Views in different scripts, probably in a different folders and one file per SP or View. So sacrifice a little bit of development time, to make your life much easier multiple times when migrating databases in every environment, including the most critical one: PRODUCTION! You never lose your data as part of a change in any of your environments. So no need for updating testing scripts, etc. Deployments are dead simple. By the time you get to the production deployment, the scripts were already executed in every developer’s machine, dev, qa, staging environments, etc. No need for complex heavy tools like Visual Studio Database Projects. The updates history resides in the database itself (see DbVersion table). May require SQL knowledge to craft migration scripts. It’s hard to test the incremental scripts. Takes up a little bit more of developer’s time in some cases. So even though I am sure this method of versioning the database may not work on every project, I consider it a perfectly valid way to keep your database under version control.